I wasnt too fond of that one to be honest. It went on too long for its own good, plus I don't like the fact that they used motion capture for this. Did they use motion capture for the final animation or just to plan the characters' movements? It's not clear to me from the behind-the-scenes featurette. Either way, I was also surprised when I saw they had used motion capture. It must be the first time Pixar uses that technology. The impression I got was it was used to block out most of it first, quickly and cheaply. Then tweak as needed, which mo cap needs anyway. Yes, it must've been done that way. Otherwise, I think they would've made it clear in the featurette that they had made the effort to animate them the traditional way. I don't mind that it was used for an experimental short like this one; but if they start using motion capture in their feature films, I wouldn't like it. This is the one I've been anticipating the most, as a rescue dog mom. I loved it. I'm still feeling emotional- it's a lingering feeling. And yay hand-drawn!! I loved Kitbull! It's my favorite one of the Spark Shorts so far. Heartfelt but much more nuanced that Pixar's usual short output. Both of them abused by society and acting out as a response to trauma but by recognizing that in each other and reaching out they started to heal. I would have preferred if they didn't go for a full-on happy ending with them being adopted by a human couple and left it at them being free and just having each other. Still it was really good. They should have released this in theaters in front of one of their movies. I would have preferred if they didn't go for a full-on happy ending with them being adopted by a human couple and left it at them being free and just having each other. I'm glad they showed them getting adopted-- at the end I was worried they would just show them being free together, but I was worried of what would happen to them; now we know they're safe and taken care of. I was so invested!! They could have been happy and safe without being adopted by people. I don't like the idea that adoption is the only path for animals' health and well-being. Animals don't really need us; it's us who need them! They could've been fine w/o people, but who knows what bad things might have happened to them on the streets...? Sure but I think you're jumping to that fear because the animals in question are a cat and a dog. If it were a bird or a squirrel or a raccoon or some other animal that's not considered pet material, you wouldn't have trouble believing they could be OK on their own. Cats and dogs have been bread the way they are for a long time, they've become more dependent on us than ever. Anyway, definetely liked this one more than the last one. So far I'd rate this one, the first one, then the robot one. I also think this one is the best so far. And the most moving. I agree. It's true that we are the ones who need animals and not the other way around, but we've ruined it for pets to live on their own; now they depend on us too. Plus, the modern world out there is really dangerous for them. Maybe the ending is too perfect but, like blackcauldron85, I wouldn’t have been sure the dog and the cat would be OK if they hadn't been adopted. And I liked the dog saw that not all humans are bad. I loved Kitbull the most. I think it was the best. Really heartfelt and nuanced like Sotiris said. I do also like the ending of them getting adopted. What can I say I love happily ever after to be really happy sometimes and this was one of those times, like many a Disney film, even though it's Pixar. My friend has a cat (black with huge eyes like that cat!) and a labrador/pitbull mix and the cat yells at and swipes at him all the time. My friend says they play sometimes and I thought I saw that once, and she says they slept together one time I think, but mostly the cat is afraid of the dog or bothered by him and tries to get him to leave her alone. So I dunno how realistic the short's relationship is but you guys probably know it could be true, right? Well, that explains why they gave them a theatrical run at The El Capitan. Our first three SparkShorts including Kitbull, Purl, and Smash and Grab will be eligible for Academy consideration next year! Fingers crossed! 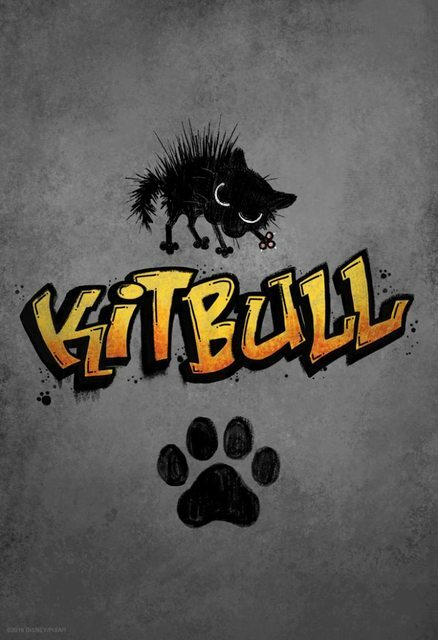 ^Maybe Kitbull could have a chance to be nominated next year. My dogs hate cats, but I know people who have dogs that have been raised with cats since they were puppies and they get along really well and play together, so I think that's realistic. What I personally wasn't sure was true about the short was if a dog would run away from their owner, even if they were cruel with them, like in this case. Maybe it's true, but they always say a dog would never abandon their owner. But my friend's cat was with a large dog since he was a puppy. It may be different. I've seen Kitbull recently, and I agree wholeheartedly about it. It is indeed an amazing film. It's also refreshing to see a 2D short done in a traditional style as opposed to being just another 3D CG film. Pixar should do more works with this kind of aesthetic. It's really fresh and gives versatility to their output. The score for Purl is now available on Amazon, Deezer, Google Play, iTunes, Napster, Pandora, Spotify, and Tidal. 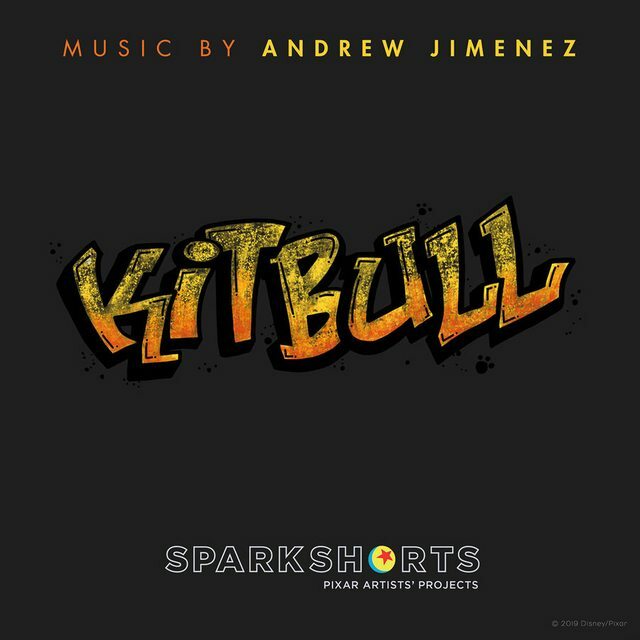 The score for Kitbull is now available on Amazon, Deezer, Google Play, iTunes, Napster, Pandora, Spotify, and Tidal.